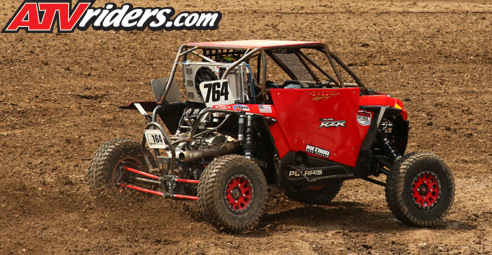 Mesa, AZ (7/27/2018) - R-N-R Steel Racing’s Robert VanBeekum let nothing get in his way as he finished sixth in the Lucas Oil Off Road Racing Series Production Turbo UTV race at Wild West Motorsports Park in Sparks, NV. The finish allowed him to retain his fifth-place in points. After having engine issues in qualifying, VanBeekum borrowed a car from Dan Kelly, despite being unfamiliar with his car, VanBeekum got up to speed quickly. After starting at the back of the field, he quickly made it up into the top 10 before finishing sixth. What the track lacked in technical driving challenges, it more than made up for in setup requirements. Situated nearly like an oval on the side of a mountain, the track featured a huge elevation change that made clutching a key to success. With car counts on the rise and six races left on the schedule, VanBeekum is in a good place to make a title run. He’ll also bring a backup car to the next event and will continue to run regionals to make sure he’s ready. 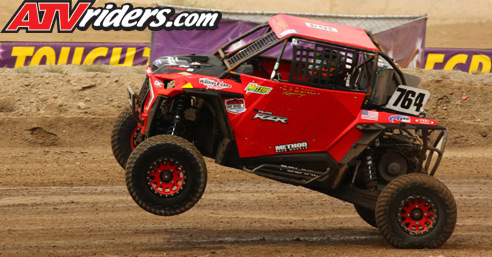 VanBeekum will be trading his short course car for his desert racing Polaris RZR when he heads next to the Vegas to Reno Best in the Desert race. The longest desert race in the United States is scheduled for August 17-18. He’ll return to LOORRS competition August 24-25 when the series holds a doubleheader event at Utah Motorsports Campus in Tooele, UT.